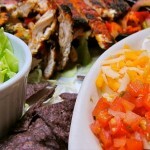 Presently there are almost 5 hundred edible plants which grow in the Sonoran Desert. 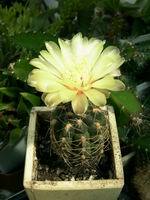 However, cacti occupy a special place – they are true denizens here. Cholla is one of widespread cactus types found in the Sonoran desert. It resembles a tree very much. Usually it can be observed in dry and sandy soils. It grows at elevations up to four thousand feet over the sea level.This kind of cactus plant is often referred to as jumping cholla since its sections break off quickly any time pushed against and adhere to your clothesmaking the impression that the plant jumped at you. Chollas are also recognized by their numerous hurtful spines. The Barrel Cactus is another popular cactus type in the Sonoran desert. It can be immediately recognized by its cylinder-shaped stem. The plant commonly grows up to about 5 to 11 feet, and is considered to be one of the biggest cacti in the Us deserts. The barrel cactus keeps water for several months. It’s roots extend over very long distances to easily gather water any time it appears to be. It is similar to a sponge inside. But the most popular native of the Sonoran Desert is the Saguaro Cactus, a kind of its symbol. It has become Arizona’s state plant. The Sonoran Desert is the only spot on the globe where you can find it. 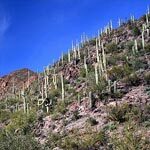 The Saguaro cactus is a long-liver – it grows for about 2 hundred years during which it can reach the height of fifty feet and the weigh of twelve tons. 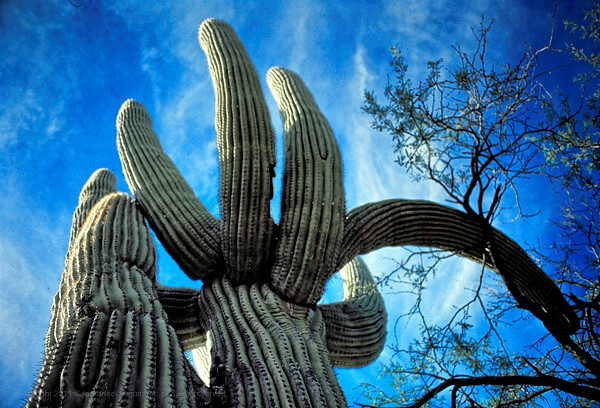 The Saguaro Cactus has an even wax-like skin which is protected with 2-inch spines. 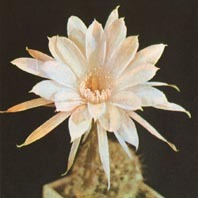 The branches of the cactus expand upright just like in almost all cacti in the south-west of USA. As soon as it rains the plant takes up water and keeps it in its stem. Because it doesn’t rain a great deal across the desert, the plant consumes the water which it keeps throughout dry periods of time.